Don’t get me wrong I love to try samples of products you get in magazines/beauty boxes- mainly make up/skin care, however I’ve never really tried using hair care samples. 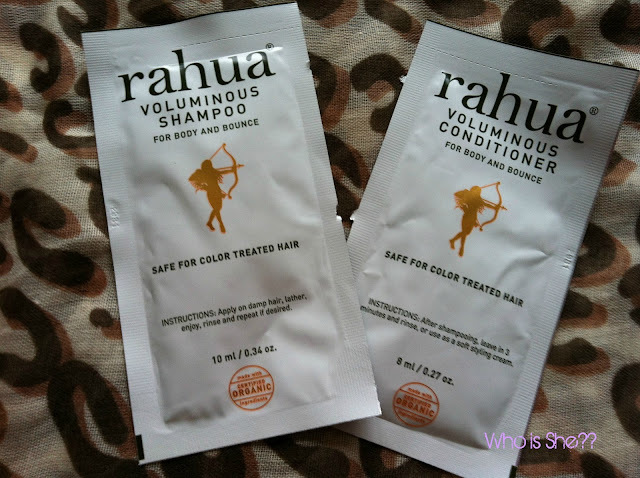 Recently I decided to try the Rahua Volumious Shampoo and Conditioner which I received with the October (??) Boudior Prive (now Jolliebox) box. 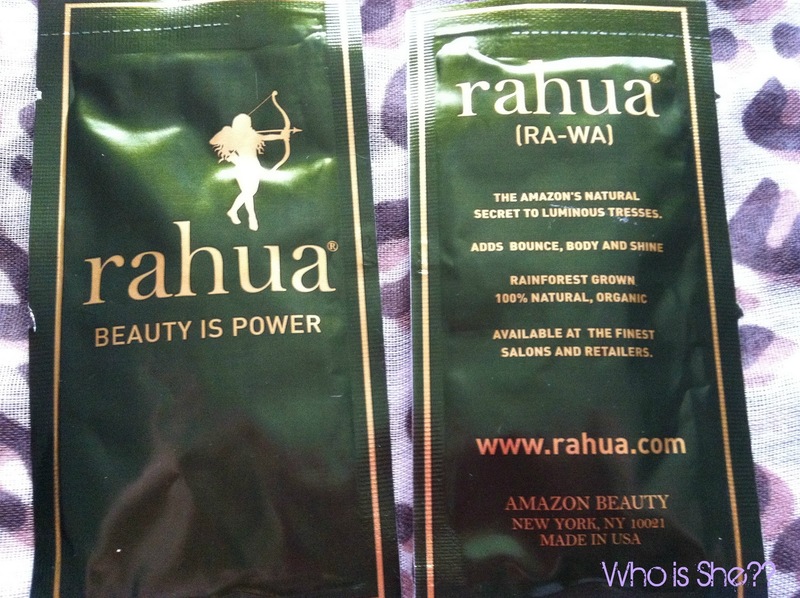 If you subscribe to this box, you will recall getting two samples of the shampoo and conditioner. "Cleanses to create body and bounce without the drying effects found in other volumizing lines and is safe for colour-treated hair. Rich with organic and 100% natural ingredients. Begin the day with aromatheraputic lavender and eucalyptus to calm and relax the senses. Lemongrass and Green tea create body, volume and bounce by balancing and removing excess oils from the hair shaft, without compromising the integrity of the hair". My thoughts- HORRIBLE. The products do smell very fresh and citriusy which are refreshing, however that is the only good thing I can say about this product. After using the shampoo/conditioner- my hair felt very knotty when rinsing- something which only ever happens in the wash to rinse the colour from my hair at the hairdressers. After towel drying it, my hair felt very “bushy” and dehydrated which I was disappointed with. It took macademia oil and aussie take the heat leave in conditioner to get my hair in some sort of manageable state to get my tangle teezer through my hair. Honestly the amount of knots in my hair was shocking- I’ve never known my hair to go like this, and the amount of hair in my tangle teezer was a bit concerning. After blow drying and styling my hair as usual, my hair looked no different to how it normally is. I was expecting to have that shine in your hair what you get from using a new shampoo/conditioner but unfortunately that was no-where to be seen. However this may have been due to the oil/conditioner on my hair. My hair didn’t even last a full day without it becoming greasy. Personally I’m glad I received this as a sample and didn’t spend the $32 on a bottle of shampoo (yes that’s how much it retails for- expensive or what). My opinion- don't waste your money. Did you recieve this in your Boudior Prive box? What are your thoughts on this? Am I the only one who didn't rate it?